Great shot - maybe two different facial expressions? Happy and sad, shocked and bored? Bottom seems a bit overexposed. Nice image. How did you take this picture?? Creative idea as well. Spooky! Nice effect. Long exposure? The head is a little lower on the left than the right - not symmetric and does not meet challenge. Good set up and idea for symmetry. 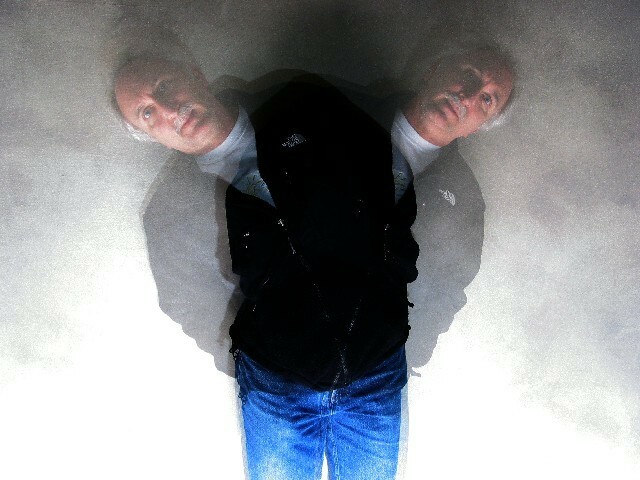 Did you try a longer exposure to get more definition of the face in the two positions? That might be a little stronger. Good job. I like this a lot. Very creative and skillfully done. I like the graininess, the tones and lighting too. Great exposure. Even the dark parts on both sides are almost symetrical. Fantastic......totally cool I love this....good work. Congrats. Winner winner. wonder how u did it .. Very effective - kept the pose up well too. This is a very interesting photo - I love it. I assume it was taken using a long exposure and double flash. The detail is lovely and the graininess is wonderful - especially in the jacket and denim. Well done. Proudly hosted by Sargasso Networks. Current Server Time: 04/20/2019 02:44:19 PM EDT.